What better way to wrap up our Norwich City matchday programme covers project than celebrating a true club legend and hero to the fans. The sad news that Wes Hoolahan will be ending his 10 year stay at Carrow Road presented us with an opportunity to create a commemorative piece of artwork paying tribute to the little magician. The cover artwork is by local artist Jo Stafford, a screen printing extraordinaire who runs the organisation Print To The People in Norwich. 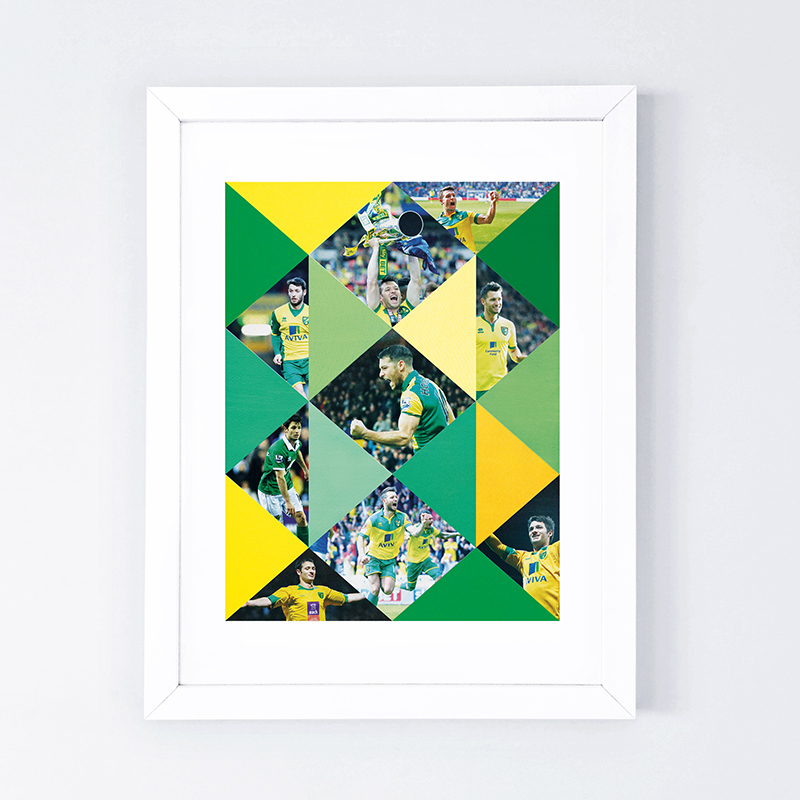 She has taken a selection of Wes photos from across the decade of his Norwich career and turned them into a geometric montage design. The final image has been screen printed by Jo using a four colour (CMYK) process which involves splitting each colour into separate layers and printing individually. The end result is a wonderful image and fitting tribute to one of the finest players to ever play for Norwich City. "When it comes to my personal work I like to experiment with different printmaking processes. This piece for Norwich City was originally designed in photoshop as a digital collage, then screen printed using the CMYK or Four Colour Process technique. This is where an image is separated into four colour channels (Cyan, Magenta, Yellow and Black) and an individual screen is made out of each colour layer which is registered and screen printed in turn. Although challenging – as you don’t know if it has worked until the final layer has gone down – this method is best suited to screen printing photographs and is really rewarding if you can get it right!"